Interconnectedness is the name of the game and Beijing has been leading the way forward. Despite China’s massive project to bring the economies of Eurasia together, the Chinese still face resentment by those that want to tarnish the image and leadership role of the People’s Republic. Here is just the latest example: although it is annually reported around Ramadan that there are restrictions on China’s Muslims, this year there has been a large international media barrage of reports claiming that China has banned fasting in the Muslim-majority Xinjiang Uyghur Autonomous Region. This type of media campaign evokes memories about the 3.14 protests that were orchestrated in the Tibet Autonomous Region and internationally to disrupt the 2008 Summer Olympics in Beijing. Giving their characteristic trademark response, the Chinese have paid no attention to the smears. They have been busy moving forward with the development of the New Silk Road(s) at sea, on land, and in the air. 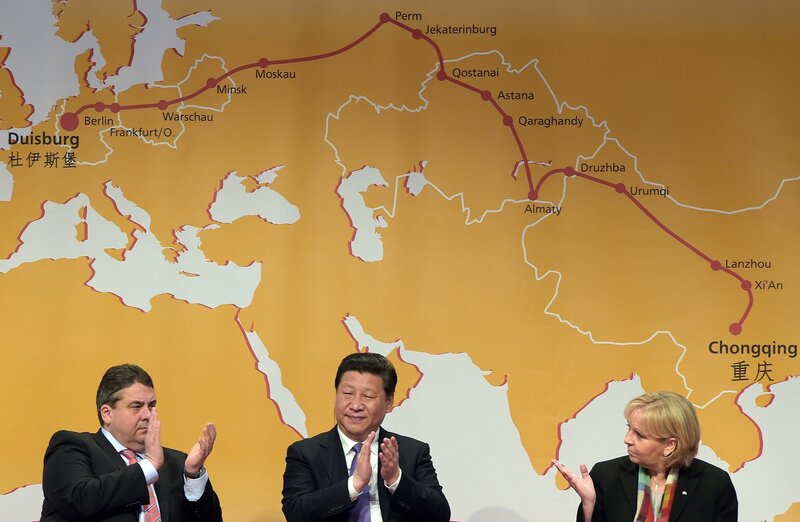 Chinese officials have been traveling throughout Eurasia to seal infrastructure deals. The New Silk Road and the Eurasian Economic Union not only interface with one another, but they converge and have a symbiotic relationship. They complement one another, but they are more than about Europe, Asia, or Eurasia. They are about a Silk World that includes every corner of the planet. The Silk Road is not only being reinvigorated. It is being globalized as a Silk World Order. International trade networks are being developed that go way beyond Eurasia and Africa. Latin America and the Caribbean have places in the international trade and transport networks that China is developing. The Chinese are looking at major projects to help connect Latin American countries with one another and with Eurasia. One of these ventures is a massive railroad project to connect Brazil with the Pacific ports of Peru. The Silk World Order that the Chinese have in mind is not about borders or bloc mentalities. Even the US has a place in the Silk World Order, if the policymakers in the Washington Beltway decide to cooperate instead of obstructing and lighting fires. Russian President Valdimir Putin himself emphasized this at the St. Petersburg International Economic Forum during the plenary session on June 19, 2015. Like the Egyptian generals and admirals that in July 2013 removed the Muslim Brotherhood from power in Cairo, the House of Saud appears that it wants to diversify its relations and to have options. Like Egypt’s military hierarchy, the House of Saud appears to feel neglected or betrayed by Washington. These feelings have led to what looks like the start of a policy of intensified engagement with Russia that began during the St. Petersburg International Economic Forum. After Morsi was removed, Moscow and Cairo began a rapprochement. Egypt’s policies on Syria even began to change after the ouster of the President Morsi and the Muslim Brotherhood. While Saudi Arabia welcomed the removal of the Muslim Brotherhood in Egypt, the move led to a strain of ties between Egypt and Turkey. Joint funds, space cooperation, nuclear agreements, investments, and arms deals between Russia and Saudi Arabia all seem to be in the works. The relationship between Riyadh and Moscow could eventually parallel the one that Turkey has with Iran and Russia on international issues. Although Turkey has major differences about Syria with Tehran and Moscow, it does not let this get in the way of its close economic cooperation and trade with Iran and Russia. Talk and discussions are increasing about the possibility of Greece exiting either or both the euro area (currency zone) and the European Union. The EU’s European Commission, the EU’s European Central Bank, and the International Monetary Fund have been coercing Greece with economic levers using its national debt and financial relief. Due to EU and IMF dictates, Greek pensions have been cut in half and a vast sector of the country has been privatized, and unemployment is plaguing Greek society. As a result a popular vote has been called on the subject by the Greek government. The European Commission was unhappy when Greek Prime Minister Alexis Tsipras asked the Greek Parliament to vote on establishment of a national referendum to decide on the demands being made by the EU and IMF. Not only has Athens decided to defer the issue to its citizens in a national vote, Greece is increasingly looking eastward towards Russia and its partners. Like the Hungarian government, the Greek government has been raising eyebrows by moving closer towards Russia. Russia has given signals that it is willing to help Greece and Athens has even been invited by the Kremlin to join the new BRICS Development Bank being setup by Brazil, Russia, India, China, and South Africa. If Greece should exit the EU, it would be a major psychological blow to the supranational entity. Calls for an exit from the EU have not only been coming from Greece, but from inside other EU member countries. In Austria a movement to withdraw Vienna from the European Union and engage more with Russia and the rest of the world is picking up speed too. In Turkey the hold of the Justice and Development Party (AKP) has finally been broken in parliamentary elections. Gone are the days of an AK Party monopoly in the Turkish Parliament. Political uncertainty looms over Ankara. Could «constructive chaos» be at work in Turkey? Turkish President Recep Tayyip Erdogan and the AK Party’s images were heavily tarnished before the elections. This had a lot to do with charges of corruption and a series of riots that led the Turkish government to blame outside forces. It is also no secret that Washington was not happy with the Turk Stream deal that President Erdogan made with President Putin to replace South Stream. Instead of joining the sanctions against the Russians, Turkey did the opposite and moved close towards Russia. The political uncertainty that appears to be emerging in Turkey could endanger the Turk Stream project. In this regard, it is also worth noting that Saudi Arabia has come under pressure through the release of the so-called Saudi cables by WikiLeaks just when Riyadh took steps, like the Turkish government, to move economically and politically closer to Russia. Is the timing of the leaked documents by WikiLeaks a coincidence? This could be part of a pattern where countries moving closer towards Russia as being targeted and destabilized. Three distinct, but interlinked, military buildups are being led by Washington. Using Ukraine as a pretext, NATO is expanding eastward in Europe. The south of Russia and to the west of Iran the plague of the ISIL/ISIS/DAESH is being used to dissolve the Middle East and allow for a US-led military buildup there. In the Asia-Pacific, the Pentagon’s «pivot to Asia» is being justified by the stoking of tensions with China in the South China Sea. From Syria to Ukraine, not only are shatter-belt regions being created around the Eurasian Triple Entente of Russia, China, and Iran, but governments that have favourable relations with them are being targeted. Those who look at the uncertainty in Turkey and Armenia with suspicion cannot be blamed. Added to the mix, pretending to be encircled by Russia and her allies, the Ukrainian government has ordered for a military buildup on its southwestern border with the tiny breakaway Pridnestrovian Moldavian Republic or Transnistria, which declared its independence from Moldova in 1990. Reaching a new point after the November 2014 Moldovan parliamentary elections, tensions have been aggravated between Moldova and Transnistria with the gradual solidification of US and EU influence in Moldova and closer cooperation between Chisinau and NATO. Transnistrian officials now say that they fear an invasion by Ukraine and Moldova. Fearing the multi-polar Silk World Order, Washington is fast-tracking the Trans-Atlantic Trade and Investment Partnership and Trans-Pacific Partnership negotiations. 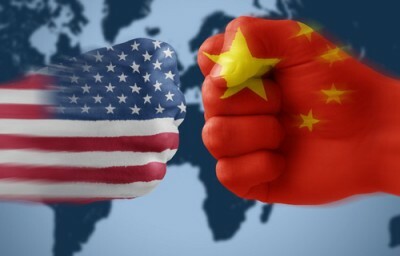 The US Congress has even given US President Barack Obama and his administration authority to speed secretive negotiations for establishing the two trade blocs that seek to exclude Russia and China. To do this the US is also doing its best to divide Moscow and Beijing respectively from their neighbours in Europe and Asia by using the fighting in Ukraine and the tensions in the South China Sea as pretexts. Quoted from the English translation of the Constitution of the People’s Republic of China used by the by the People’s Daily, the official newspaper of the Communist Party of China. Mian Abrar, «Does China really ban fasting in Ramzan?» Pakistan Today, June 26, 2015. Ibid. ; Muslim teachers in Xinjiang have also been asked not to fast to facilitate the policy of discouraging school children not to fast. Although the prohibition on fasting for Chinese civil servants is unofficial, there are signs in government buildings in Xinjiang reminding government employees that they should not fast. Again it has to be understood that these employees are members of the Communist Party of China that are not suppose to have a faith. The signs are put there, because of the possibility that government employees could be fasting due to local tradition or social pressure. Dmitri Trenin, «From Greater Europe to Greater Asia? The Sino-Russian Entente,» Carnegie Moscow Center, April 9, 2015. The official Kremlin version of the transcribed opening speech and panel discussion — titled «Plenary session of the 19th St Petersburg International Economic Forum» (June 19, 2015)—has been used in quoting Vladimir Putin. Mahdi Darius Nazemroaya, «From Energy War to Currency War: America’s Attack on the Russian Ruble,» Strategic Culture Foundation, December 26, 2014. This article was originally published by the Strategic Culture Foundation on July 3, 2015.